Half day morning/afternoon fishing (4-5 hours): N$1450.00 per person (minimum of 3 people). 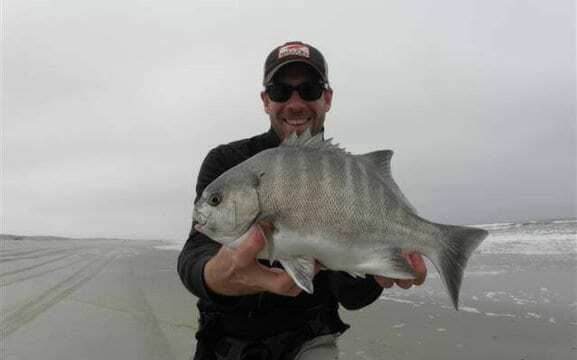 Full day Shore Fishing (8 hours): N$1950.00 per person (minimum of 2 people). 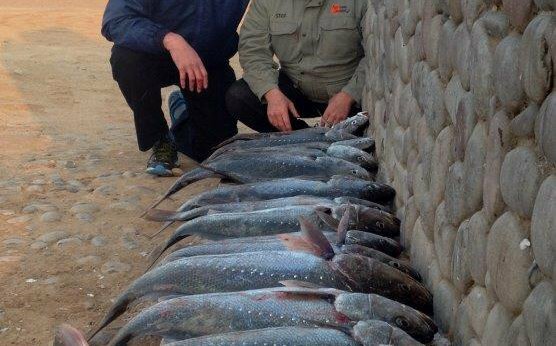 Aquanaut Fishing Day (7-8 hours): N$2100.00 per person (minimum of 2 people). Fishing Safaris – price on request. Catching a fish is one of the most exciting and exhilarating feelings! 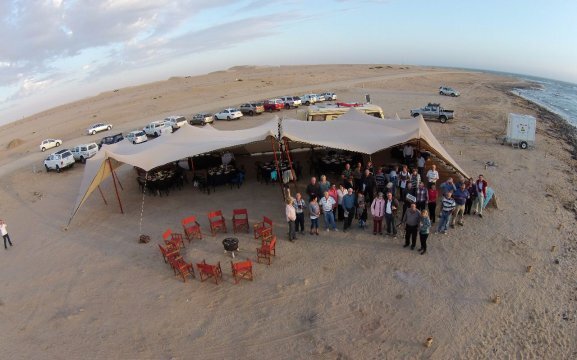 Aquanaut Tours is a well established activity operator that is based in the charming coastal town of Swakopmund in Namibia. 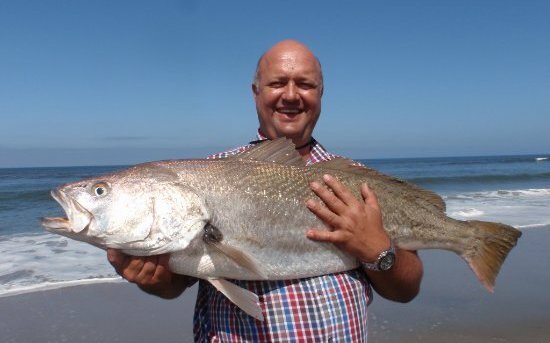 With the Atlantic Ocean and Skeleton Coast being in close proximity, Aquanaut Tours is the perfect company to contact for your fishing tours whether you are seeking a whole days fishing or just a half day fishing tour. Longer fishing safari trips within Namibia can also be arranged. If you have never gone fishing before don’t worry – we will assist you every step of the way. 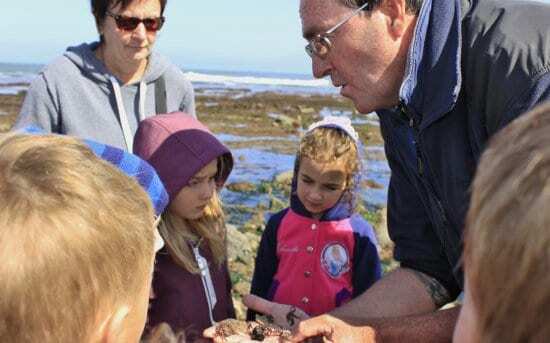 Our friendly guides will even help you with putting the bait on the hook, casting your fishing rod whilst explaining and teaching you how it’s all done! We focus on rock and surf fishing and clients can catch shark and various other types of sea fish. The owner, Shane, has been passionate about fishing since the age of 7 and also personally guides as many of his fishing tours as possible so you are in the best possible hands at all times. 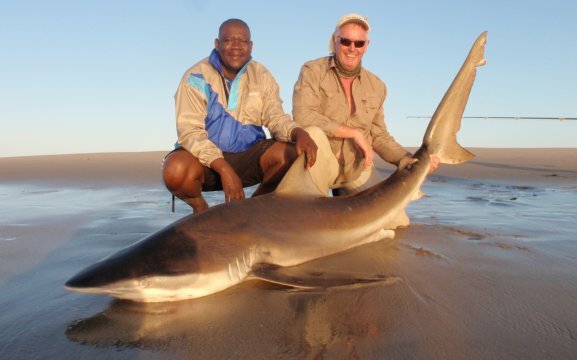 Due to the Atlantic waters off the coast of Namibia being rich in nutrients many different kinds of fish and sharks exist along its coastline. The West Coast Steenbras and the Silver Cob are popular targets among the edible fish species and the majestic Bronze Whaler Shark can be quite a challenge to reel in giving you a real fight. 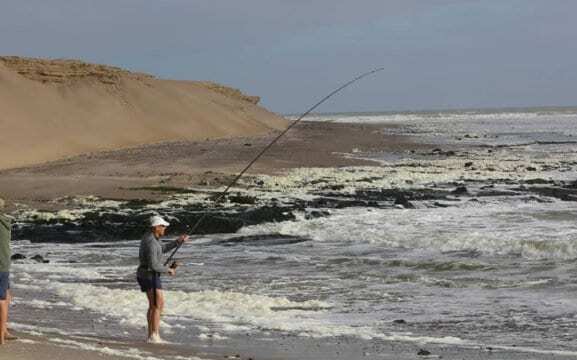 The Aquanaut Fishing Day involves spending a relaxing day fishing on the beaches of the Skeleton Coast. Our goal is to catch fish that can be eaten. 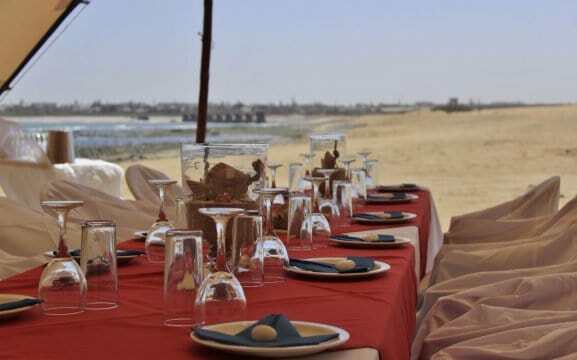 We will prepare a relaxed and casual fish braai (BBQ) right on the beach. You get to eat what you catch! 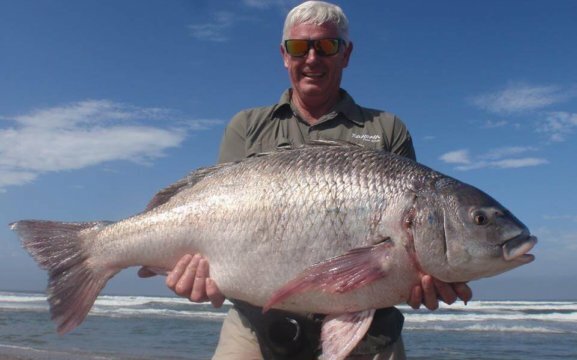 Longer Fishing tours or Fishing Safaris within Namibia are available to anglers right throughout the year. Our most popular longer fishing tour is the 7-Day Fishing Safari. Please send us an enquiry for more detailed information. Fishing Safaris can be tailor-made for each group and are quoted on request. All equipment, tackle and bait. An experienced guide. Permits. Refreshments. Lunch Pack (full day fishing trip only). Transfer from your accommodation in Swakopmund. Half Day Morning Fishing Trips start 8h00 until approximately 12h30/13h00. Half Day Afternoon Trips start 14h00 until approximately 18h00/18h30.